Classic on the outside yet ultra modern on the inside: with its newly developed navigation radio Porsche is responding to the growing demand for a built-in device for classic sports cars. The purpose-built unit combines the style of yesteryear with the benefits of modern technology. It fits perfectly into the DIN-1 slot that has been used in the sports cars for decades and is operated by means of two knobs, six discreetly integrated buttons and a touch-sensitive 3.5-inch display. Thanks to the appearance of the black surface and the shape of the knobs, which are supplied in two authentically styled versions as standard, the navigation radio blends harmoniously into the dashboard of classic Porsche models. It bears the Porsche lettering and is suitable for the sports car generations between the first 911 from the 1960s and the last of the 911 series with air cooling from the mid 1990s (993 series), including the earlier front-engine and mid-engine models. The new navigation radio comes with all the key features of today’s systems. In addition to low-interference radio reception and precise navigation, it has interfaces for a variety of external music sources that can be controlled from the display. A smartphone can be connected via Bluetooth. In addition, the classic radio not only has a built-in microphone but also comes with an external microphone. The integrated amplifier delivers 4x45 watts and can be connected either directly to the loudspeakers or to the original sound system using an optional adapter cable. The new navigation radio has been exclusively developed for Porsche Classic and specially for the classic sports cars. Radio reception, for instance, has been optimised for the built-in aerial supplied ex-works, which is generally only a single telescope. The operating concept of the device is based on Porsche Communication Management (PCM) and has undergone extensive testing at the Technical University in Munich to verify its user friendliness. Numerous trial journeys have been undertaken in Europe to test the country-specific navigation. Drivers have a choice of arrows and two-dimensional or three-dimensional maps to display the route. The maps are stored on a microSD card with eight gigabytes of memory and are updated regularly. In Germany, the new navigation radio is available immediately from Porsche Classic Partners or Centres and costs 1,184 euros including VAT. 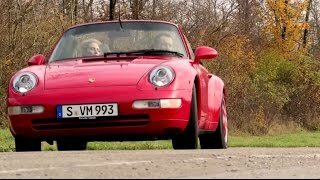 Porsche Classic is a division of the sports car manufacturer responsible for the maintenance of vehicles which were generally produced more than ten years ago. Its services cover all aspects of care and technical literature as well as the supply and reproduction of original parts and even extend to complete restoration. The company is expanding its international dealer and service network to around 100 Porsche Classic Partners for the optimal support and overhaul of classic cars in the next years. Porsche customers and potential customers can expect the complete range of Porsche Classic services from the partners. Through this measure, Porsche has integrated the care and value retention of modern classic and vintage cars in an innovative service concept, closely linking Porsche tradition and Porsche innovation. The traces of the years adorn the metal and imbue it with character. As in the case of this black-plate Porsche 356.